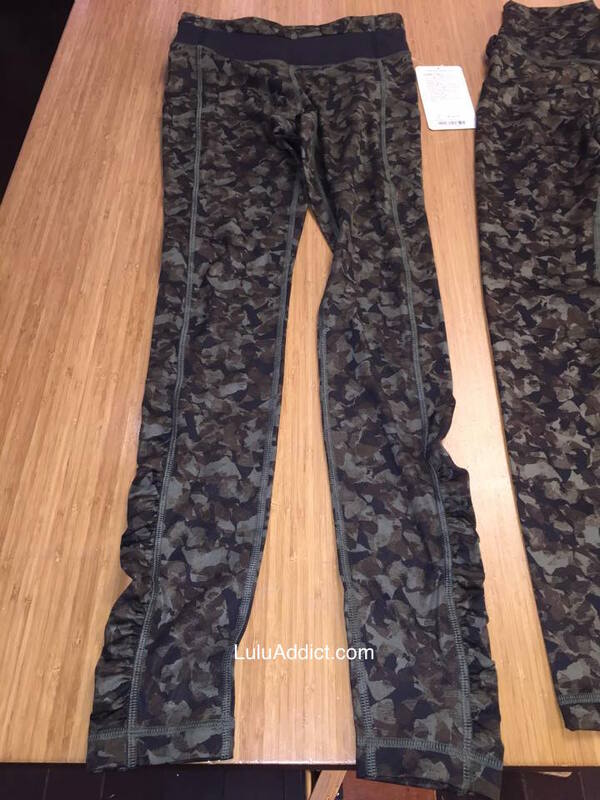 Spotted in British Columbian lululemon stores - a new camo-ish print in Wunder Under Pants, Speed Tight IIIs (looks like the thigh pockets are gonethigh pockets are still there - yay! ), and a Rise and Shine Jacket. Initial fit report on the WUPS indicate its nice and thick. The color code is MJFB. Thanks to Ms. R. for the top two photos and Ms. K. for the bottom two. Update - Ms. R. informs me the Rise and Shine was spotted on a selling board not in a store so there is some question as to its authenticity. I've seen the photo and if I had to guess I'd say real. rise and shine i dont think has been spotted in stores someone is selling it print is similar and colour code is different not sure if fake or not !! The thigh pocket it one of my favourite things about Speed Tights - I'm glad I have a few pairs. I have an iPhone 6 and it doesn't fit into most back waistband pockets (except in the awesome Inspire Tights). Do we know if this is denim luon? Oh, thanks Robyn! I thought the Rise and Shine was spotted in a store. @ anon 3:17 p - I think it's regular luon but I will find out. The tag says full on luon so I'm 99.999% sure it's regular luon. @LLA. Thanks! 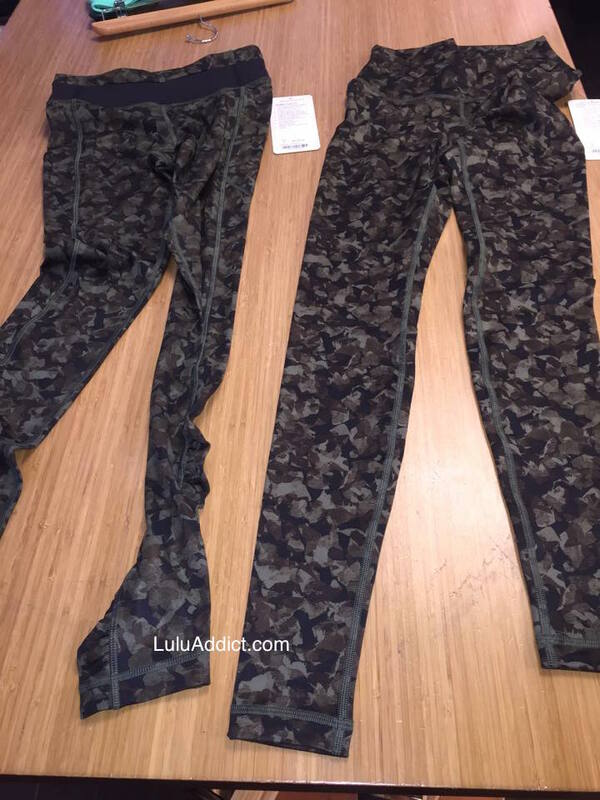 I'm paranoid now after loathing the Black Camo because they're denim luon. I don't remember what the tag said but they're listed online as full-on. Glad to see they added the ruching back to the Speed Tight! Not sure why they did away with the thigh pockets though--runners seem to really like them. 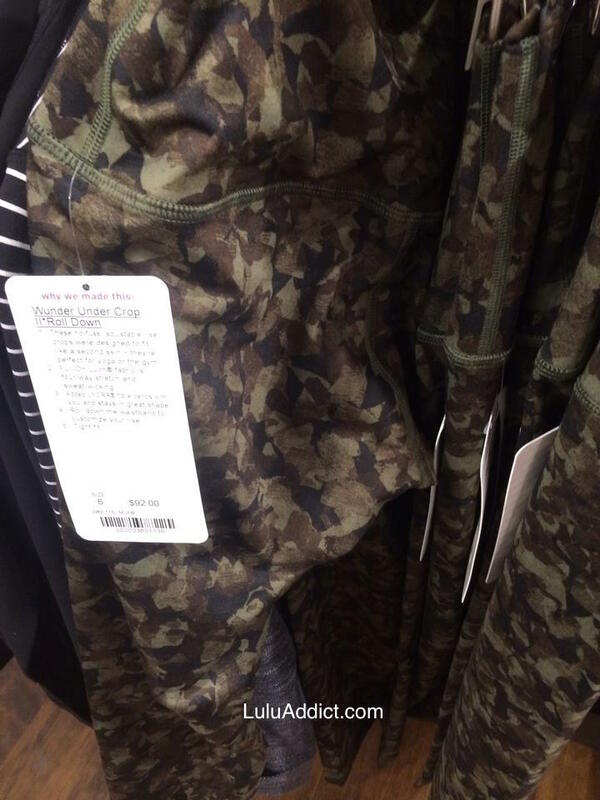 I actually kind of like the camo-ish print. However, I always end up selling off my camo stuff, so it's a no-go for me. LLA, do you think the wunder unders will be uploaded next upload? I agree with Deb - the hip pockets are one of the best features of the Speed Tight. It's also a reason why I love the Rebel Runner crops. I think it's a bad move to eliminate them from the Speed Tight. Quite hideous. Predicted to go to wmtm in no time. Agree with anon at 3:00 pm - Definitely Duck Dynasty inspired. Very easy pass. The speed tight would be nice in this pattern. getting rid of the pockets is a bad idea. I have a feeling those will be the shiny luxtreme material, which slides around when running. Gross. 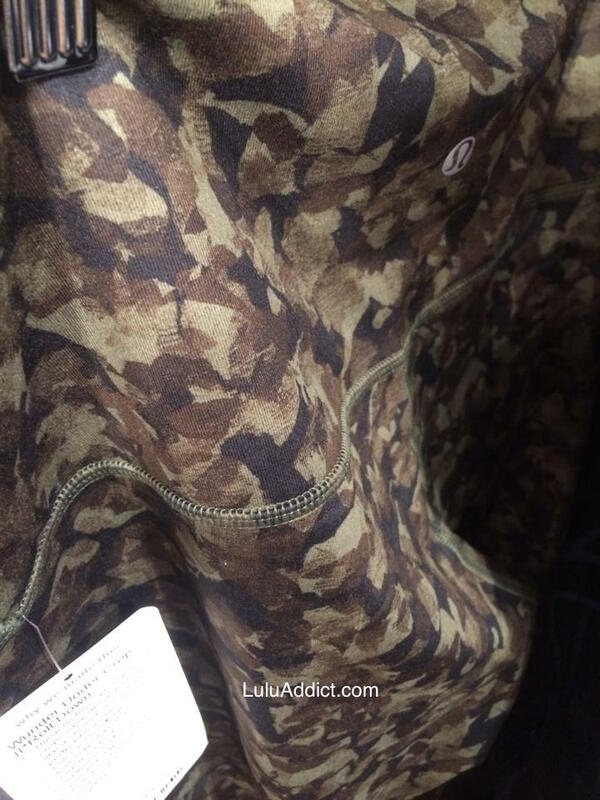 So tired of the camo and camo inspired prints. @ anon 9:07 pm - thanks! I'll fix my post. That is good to know. The thigh pockets are so handy. The tag in these photos says CROP, but no one has mentioned that, only speed tights. Has the WUC been confirmed or was this a mis-tag?